Disclosure: This is a sponsored post on behalf of UncommonGoods; all opinions expressed are my own. 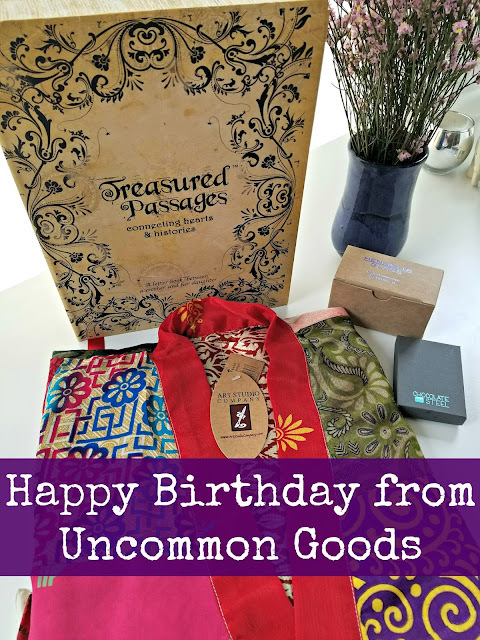 May through September is our family's birthday season and one of my favorite companies I've been shopping from for years, UncommonGoods, invited me to pick a few items from their website. It was a hard choice, but the best part is that I was able to find something for just about everyone on my list! I was first introduced to Brooklyn-based UncommonGoods years ago and was intrigued by their whimsical and unique products. It's been around since 1999, and it's been my go-to source for one-of-kind gifts. I love recommending it to friends especially when they're stumped in the quest for the perfect present. 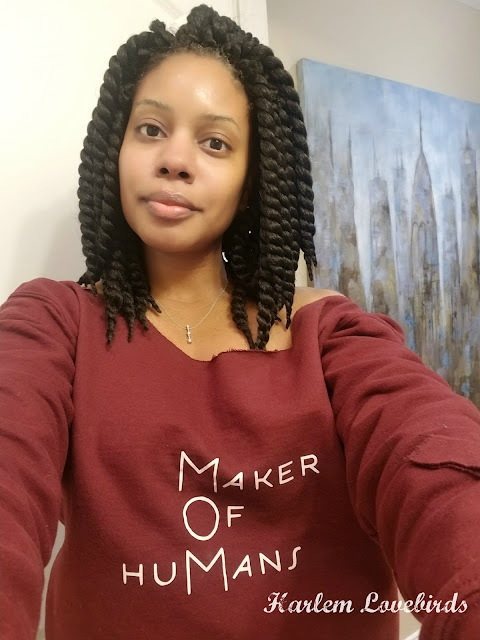 From a social goods perspective, I appreciate that UncommonGoods is a B Corp, uses recycled/upcycled materials and supports small and local artists and businesses. 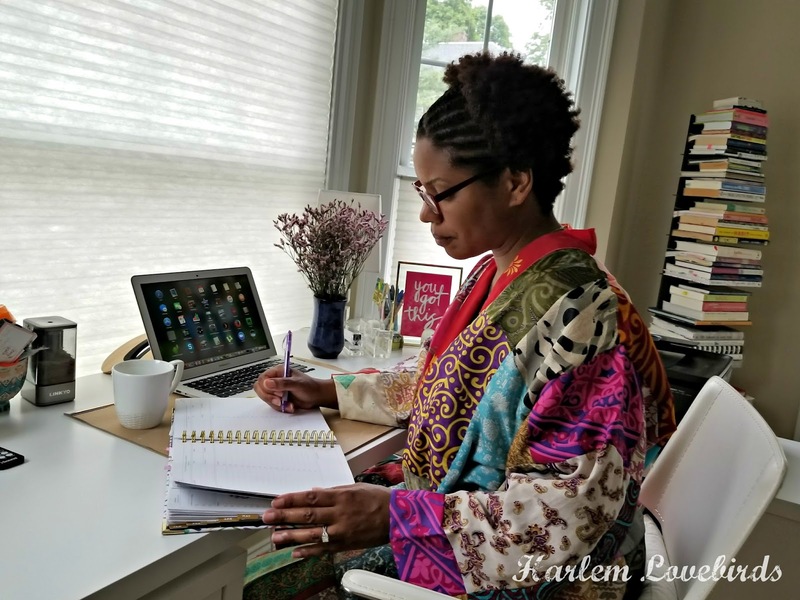 It's a clearinghouse for creativity and talent! 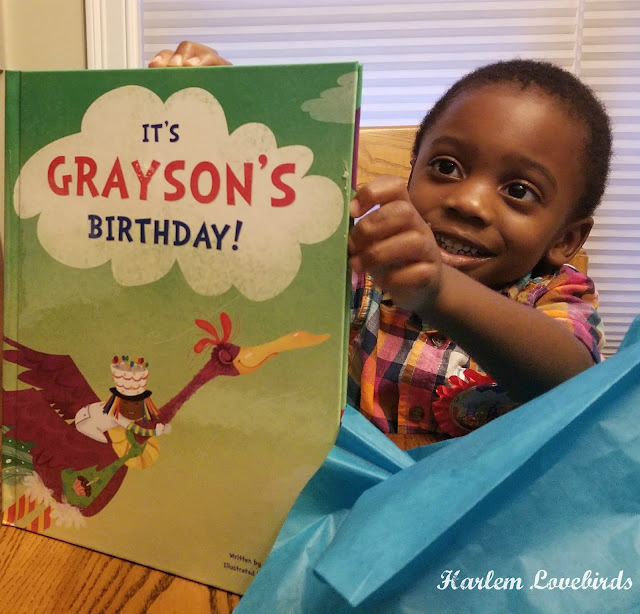 Grayson turned 3 earlier this week and we gave him his own personalized It's My Birthday book by I See Me. When selecting the details of the book it required a special form as it's special order and I was able to select the skin tone of the child, something I was especially concerned about. I was pleased when I received the book and the boy was a deep shade of brown like Grayson! It was adorable seeing his eyes light up when Uka read it to him and he realized the book was about him. 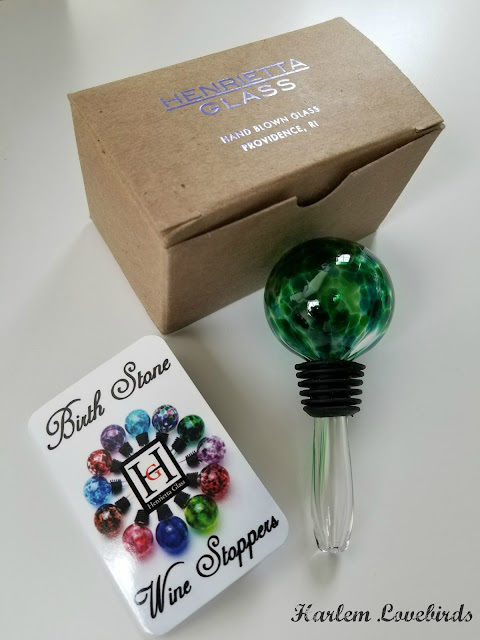 For Mr. Lovebird I found a Birthstone Wine Bottle Stopper and green also happens to be his favorite color! The New England company, Henrietta Glass, is owned by Jill Henrietta Davis of Providence, RI. The accompanying card explaining her work gives it a personalized feel, something I've appreciated about UncommonGoods over the years. UncommonGoods has even more products for the wine lovers in your life! For my mother, I purchased a Mother & Daughter Letter Book Set, a keepsake book that passes between she and I. It's something I think will be special in the years to come especially as we were born on the same day. I won't go into too many details here in case she reads this post (I want her to be surprised! ), but it's a sizable book that I hope I can pass down to my daughter Nia at some point. Of course mama had to treat herself (!) so I selected an Upcycled Sari Lounge Robe and a ring with a special message: The Future Depends On What You Do Today. 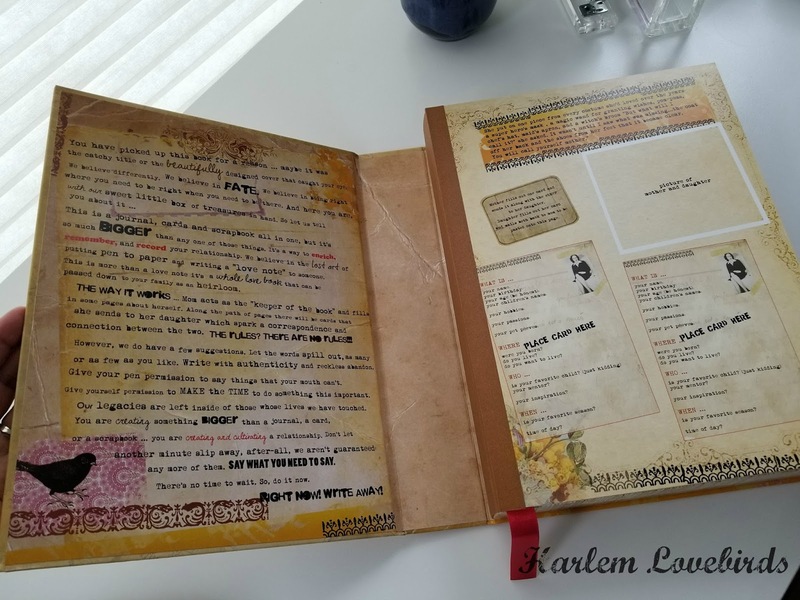 Again, I was thrilled to see the Maker Story card included in the ring box sharing Christine Street's details about her career. 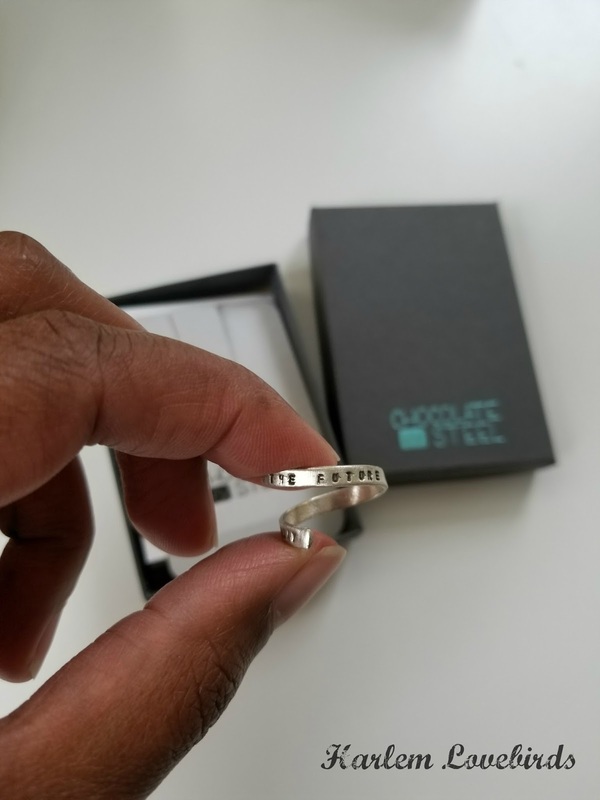 It's something I'll think of each time I wear the ring. UncommonGoods has curated over 250 items especially for birthday gift giving and to make it easier have organized their site by gifts for him and her. Fair warning though: you'll definitely want to order something for yourself! Is your summer full of birthday celebrations too? Are you like me and pick up things for yourself when birthday gift shopping?